Never trust anyone ONLINE (ever)..
Is Your Child A Bully? Each year Australian schools unite together for the National Day of Action against Bullying and Violence. The National Day of Action is Australia’s key anti-bullying event for schools and in 2018, schools were called to imagine a world free from bullying and share their BIG IDEAS. NDA schools were provided with an extensive range of resources and material to contribute to the success of the day, including resources for school events, class activities and lesson plans. The National Day is a positive day of action, bringing school communities together to help find workable solutions that address bullying and violence. Let’s Take a Stand Together. Registrations are now open and all schools are invited to register as an official NDA school. NDA schools are equipped with an extensive range of resources and materials to make the day a success, including ideas for school events, class activities and lesson plans. It’s easy! 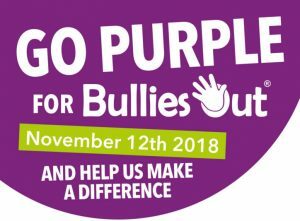 Simply register, lock in Friday 16 March 2018 and get ready to say ‘Bullying. No Way!’ with schools across the nation. Need inspiration? Visit the Photo gallery and see Previous years to see how schools have celebrated the National Day of Action. Anti Bullying Crusader is an Australian movement campaigning to end bullying.